Had coffee out on Mom & Dad’s deck this morning. While I was a little overwhelmed by the brightness since the trees had to be taken down, I was not disappointed by the visitors. Every time we go there, I kick myself for not having my camera, and last visit we were taunted by a Red Tail Hawk sitting not 100 ft. away in a tree. Of COURSE that Canon 5D MarkII would have gotten a great shot. How would that cell phone work? I decided against it. This morning, I had my camera. I was sitting toward the feeders, taking pictures of this Hairy Woodpecker. (Correction – it’s a Yellow Bellied Sapsucker) I’ve never seen so much red on a Hairy. 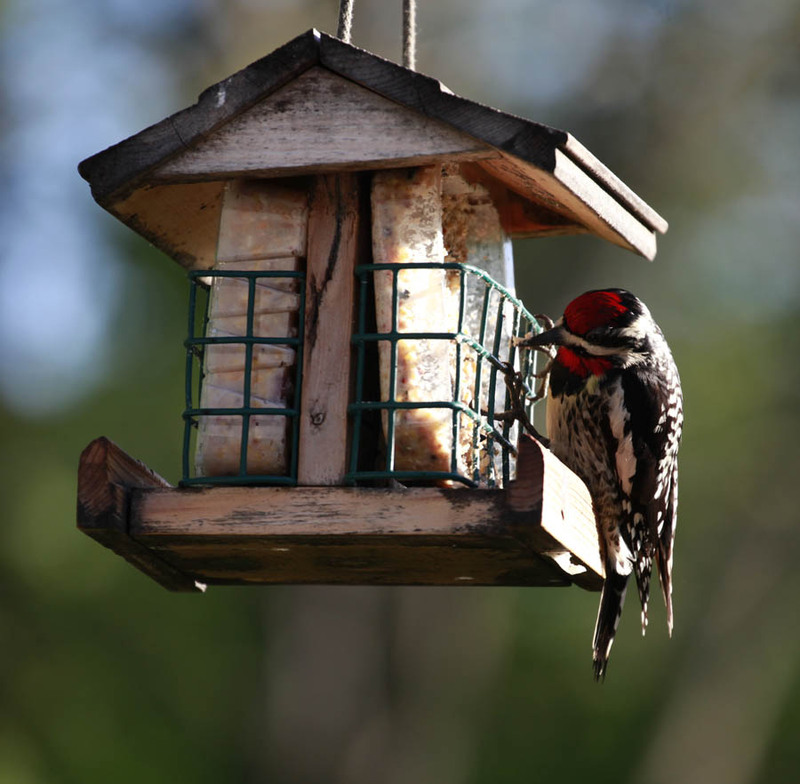 New note – Yellow Bellied Sapsucker is a migratory woodpecker. He comes in the spring and in the fall sometimes. I just got lucky evidently! While I was here, there was a really loud buzzing sound flying around my head. 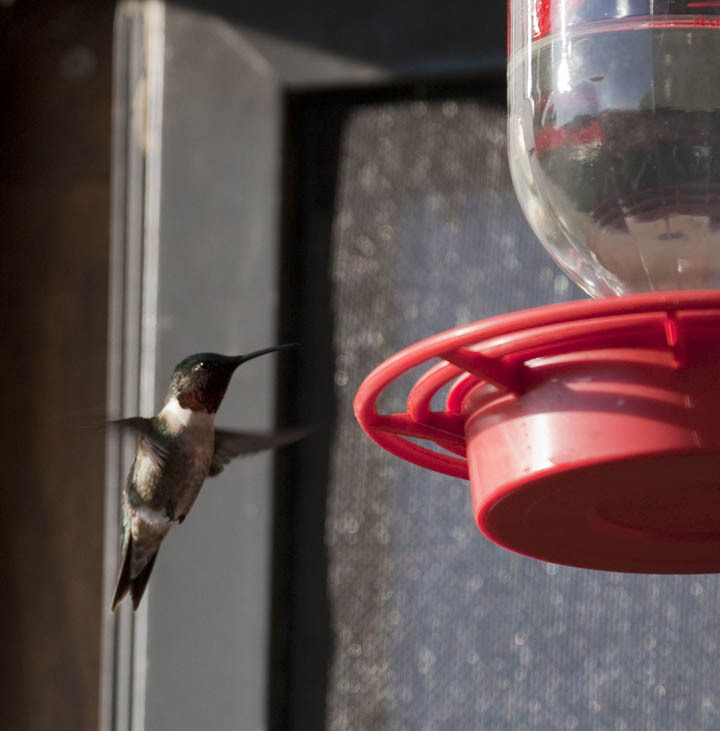 I was sitting right under the humming bird feeder. They are very impatient. I moved over closer to the feeders so I could get this shot. I couldn’t do anything about the background on this one, as it was too close to the bird, and the depth of field would not have shut it out. I could fake it in photoshop, but that might take some time. These little guys have too many skinny parts, and those wings would just disappear. So here he is, ruby throat and all. Coffee was good. Company was awesome!